The alteration of your wedding dress typically takes place very close to the actual day and with so much to organise for your wedding day, I understand that by the time you come to the fitting you are concerned, tired and generally very stressed out! By choosing me you will be guaranteeing that all will go smoothly. I can literally work with any dress be it too small or large and although we will be close to your big day, all will be absolutely fine with your precious dress. Instead I turn what can be a stressful time into a fun experience that you will enjoy! I am passionate, creative, friendly and approachable and using my experience I work with you to achieve the perfect fit. We can have your off the peg dress looking and feeling exactly like a made-to-measure wedding dress! With 30 years experience as a professional dressmaker and seamstress I have worked on hundreds of wedding dresses and bridesmaids dresses so you can relax the moment we start to discuss what you need doing. How much does altering a dress cost? It is not possible to give a definitive price until I have seen the dress on and know exactly what we need to do to achieve the perfect fit and look you want although if you can email a photo I am able to give you a very accurate price. The most common alteration work I do is the shortening of the hem and the taking in of the bodice which typically starts from a price of £195 or £225 if you have a more complex full circle wedding dress with several layers. As lace dresses are more complex and time consuming, these are from £285. How soon before the wedding do we need to have our dress fitted? From my experience a lot of brides will lose a little weight with the pre-wedding excitement (and stress!) so it best not to do the fitting too far in advance. 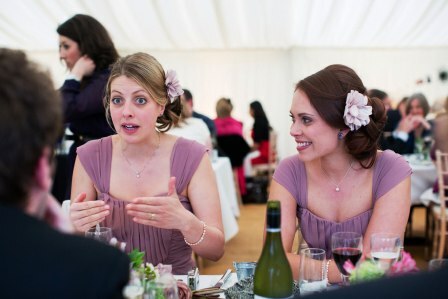 I will work to your requests of course but I really suggest the ideal time would be 6 to 8 weeks before your wedding. This gets the best look for your wedding day. Many shops will suggest seeing you much earlier but in all honesty this is to suit them and not you. As well as alterations, straps were added to these dresses. What do I need to wear for the fitting? At the time of fitting it is important that if you do intend to wear a bra, to have the one you would be wearing on the day. Most wedding dresses are obviously so structured that it isn’t always necessary, but I do understand that it is a personal preference. I can also add cups if needed. Obviously don’t forget your shoes you intend to wear on your big day! Other alterations I do on a regular basis are where the dress is too large over the bust and cannot be brought in from the side seams, so this would require taking in through the bust seams. If this is the case and depending on the dress, this can often result in the dress having to be rebeaded, which naturally increases the cost. Since the royal wedding many more dresses have been made out of lace and lace hems can equally also be altered without a problem but will involve the lace trim being removed, replaced and in some cases rebeaded. So again slightly more cost. Can I let a wedding dress out? Yes it is perfectly possible. Most wedding dresses come with a good turning on the side seams, from them you can get between 1-2 inches. Discreet panels can be added to the side seams. If it is a laced-up back dress sometimes increasing the size of the panel at the back is enough to increase the amount required. Can you add extra embellishments e.g. some extra sparkle?! I can custom dresses in any way you want. Things I have done for previous clients include: I had a client in Redhill, Surrey who wanted to add Swarovski crystals to the centre of the Devoire flowers that covered the lower part of the dress. I can work with veils, literally anything you want customizing and making unique and special, I can do. Yes, for example if you have a simple strapless dress, you can have it altered to a sweetheart. Can we change how the dress is fastened? Perhaps the dress has a zip and you would like it made into a laced-up back. You can equally work the other way but only if the dress is too big for you as there wouldn’t be enough fabric to work in reverse. Often I am asked to add covered buttons too as it gives a nice detail to the back of the dress. What can you do with bridal trains? Most brides choose to have the train of their dress put up in the evening. This can be done very simply with a button and loop or maybe with a blue ribbon if you want to incorporate the something blue. Exactly how this is done is determined by the style of dress. Can we add a little sleeve or some form of shoulder detail? It can be difficult to match the fabric but sometimes we can use cut-offs from the hem. Or alternatively we can sometimes introduce a different fabric i.e. a chiffon or organza. There is usually a way around most things! 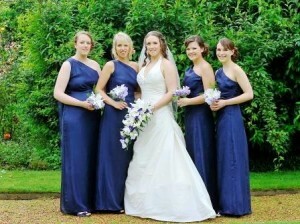 Click this link for for more information about my service for wedding dress alteration in Surrey.